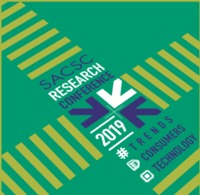 The Annual SACSC Footprint Marketing Awards seek to recognise exceptional shopping centre marketing, innovation and creative achievements, together with economic success, within the South African property industry. Register a username and password to get started and then login to manage your entries online. Every entry is done through a simple 3 step process. All 3 steps need to be completed to submit an entry for adjudication. Gold, Silver and Bronze winners will be announced at our 23rd Annual Congress, 16 - 18 October 2019, at the Cape Town ICC. Your entry into Footprint Awards will automatically be entered into our Spectrum Awards which will be announced at our Annual Congress and Gold winners are automatically entered into ICSC VIVA Awards for 2020. Visit www.footprintawards.co.za to find out more.